Floating castle in Matsumoto, Japan. 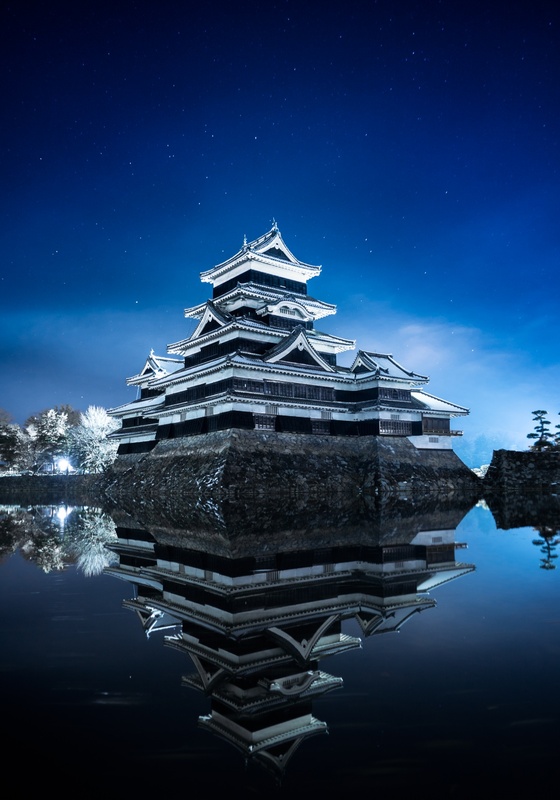 Matsumoto castle is considered one of national treasures in Japan and widely recognized as one of the most picturesque buildings in Japan. We were really lucky because it snowed the first night we spent there and the next day was nice and cold with clear views in late evening when I took the this photo. And it’s only one photo. Not a composition. Tip: Many buildings especially in Japan look even more beautiful in night lightning which are usually really well designed and executed.